A ham and cheese bread roll, a packet of Shultz Mini Pretzels, and a packet of Select Little Families Biscuits. This is the kind of lunch box many parents may pack for their kids every school day. So what’s the problem? Salt – and lots of it. The amount of salt in this lunch box exceeds the recommended maximum daily limit for a five- to six-year-old. It’s not just the littlies you need to consider. 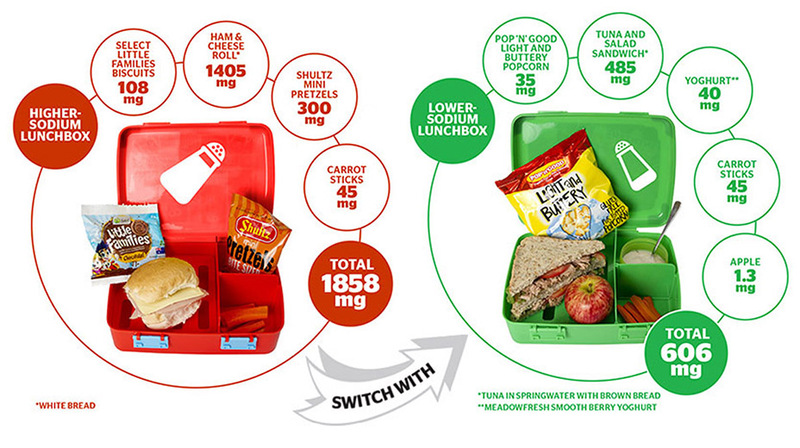 This lunch box contains more than 90 percent of an 11- to 13-year-old’s daily limit. Salt is sodium chloride, and it’s the sodium that can be bad for you (see Why slash the salt?). Bread, processed meats, processed grain products (such as crackers and cereals) and takeaways are the biggest contributors to kids’ sodium intake. 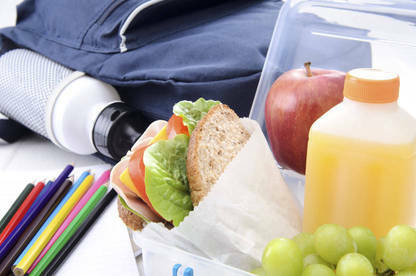 Many lunch box favourites also pack a hefty sodium punch. Worryingly, it’s often the foods manufacturers market as lunch box fillers in convenient single-serve packets covered with cartoon characters and fun giveaways. But with a few switches you can slash the salt and still have food your kids will actually eat. Savoury snacks: Chips, popcorn and pretzels are morning tea favourites. Unfortunately, many are high in sodium. For example, Eta Monster Munch Burger and Shultz Mini Pretzels have more than 1000mg per 100g. Even small differences in a bread’s sodium content can make a difference, especially if your child has toast for breakfast as well as sandwiches in their lunchbox. A packet of popcorn is a better option – Pop ‘n’ Good Light and Buttery Popcorn and New Zealand Kettle Korn are moderate sodium options. Better still, you could make your own popcorn and seal it in a ziplock bag. 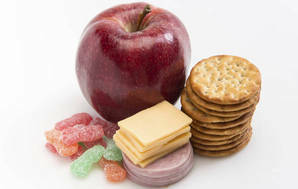 Crackers: Crackers are often perceived as a “healthier” snack, but this isn’t always the case. For example, Eta Cravers Snacking Crackers Chicken Flavoured and Arnott’s Shapes Chicken Crimpy contain more than double the amount of sodium than Bluebird Ready Salted Potato Chips. All rice crackers aren’t created equal when it comes to sodium. Pams Mini Rice Crackers Original have a third more sodium than its seaweed flavour. The same applies to corn-based crackers. Arnott’s Cruskits Corn are high in sodium. Real Foods Corn Thins Multigrain are a better choice. When we looked at crackers last year (Consumer 561), we found some low-sodium options. Sun Rice Rice & Grain Squares Quinoa, Sun Rice Thin Rice Cakes Original and Peckish Brown Rice Crackers No Salt all had less than 120mg of sodium per 100g. Cheese snacks: Cheese is high in sodium but processed cheese slices are even higher. Homebrand Processed Cheese Slices have a whopping 1500mg per 100g. Different flavours of the same product can have vastly different amounts of salt so check the nutrition information panel. Le Snak Cheese & Bacon Flavoured Dip with Crispbread has 50 percent more sodium than the cheese variety. Bread: Bread contains moderate amounts of sodium, but because kids eat lots of bread, it’s usually the biggest source of sodium in their diets. Even small differences in a bread’s sodium content can make a difference, especially if your child has toast for breakfast as well as sandwiches in their lunchbox. Keep specialty breads, such as paninis, for occasional treats – one panini has 480mg of sodium. One white bread roll has 370mg (before you add any fillings) and if your child likes bread rolls with cheese and bacon on top, that’s even more salt. Staples fillings such as Marmite and Vegemite are also extremely high in sodium (although you don’t use much in a single serving). If your kids like peanut butter, choose varieties with no added salt. Processed meats: Processed meats such as ham, salami and bacon always require one key ingredient – salt. One serving of Freedom Farms Shaved NZ Champagne Ham has 750mg and Primo Shaved Danish Salami has 700mg. Limit processed meats to once a week. Replace them with lower-sodium options such as egg or canned tuna. Tuna in springwater is best, it has less sodium than tuna in oil, brine or flavoured varieties. Sweet and salty: You might be surprised at how much sodium some sweet biscuits contain. Select Little Families Biscuits Chocolate have about the same amount of sodium per 100g as Bluebird Ready Salted Potato Chips. Fruit bars and muesli bars have moderate levels of sodium – fresh fruit is a much healthier solution. The red lunch box has a whopping 1858mg of sodium – that’s more than the recommended maximum daily limit for five- to-six year-olds in one meal. With a few changes you can significantly reduce that amount. Seventy-five percent of our salt intake comes from processed foods. Use this as a guide when you’re reading food labels to help choose lower-sodium options. Low-salt foods have less than 120mg of sodium per 100g. Moderate-salt foods have 120-600mg of sodium per 100g. High-salt foods have more than 600mg of sodium per 100g. While all of us should be aware of how much salt we’re eating, children are especially vulnerable. A high salt intake in a young person may predispose a child to major health problems such as high blood pressure, osteoporosis, respiratory illnesses, stomach cancer and obesity. Stroke Foundation national health promotion manager Jo Jarden said cutting back on salty foods is important. “Tastes and eating habits are formed early, so feeding your children fresh unprocessed foods instead of salty processed snacks is the way to go,” she said. The Ministry of Health’s recommended maximum daily limit for sodium is 2000mg per day for 11- to 13-year-olds. For younger children, this limit is lower – the recommended maximum daily limit for five- to six-year-olds is 1400mg. But Kiwi kids are eating a lot more than this. The 2009 New Zealand Total Diet Survey (TDS) found five- to six-year-olds were eating more than 1800mg of sodium a day. Girls aged 11 to 14 years were eating more than 2300mg a day and 11- to 14-year-old boys were eating 2800mg a day – that’s more than the adult recommended maximum limit of 2300mg. Worryingly, intakes could be even higher than this. The TDS doesn’t include “discretionary” sodium, such as salt added to food at the dinner table and during cooking. The Heart Foundation’s national nutrition adviser and registered dietitian Angela Berrill said parents should read food labels and avoid adding salt to food they cook or serve at home. “When it comes to salt, less is best,” she said. GUIDE TO THE TABLE PRODUCTS are listed by sodium content per 100g within product groups. SODIUM data is sourced from label information, and The Concise New Zealand Food Composition Tables 11th edition 2014. = Low-salt food (less than 120mg/100g), = Moderate-salt food (120-600mg/100g), = High-salt food (more than 600mg/100g). Prepare fresh foods, rather than going for the easier option of processed foods. Check the nutrition information panel on packaged foods and choose lower-sodium options. This is especially important for foods your kids eat often (such as breads, cereals and processed meats). Use herbs, spices and other seasonings instead of salt – during cooking and at the table. With a few simple changes you can reduce the sodium in your child’s diet. We’ve devised two sample menus. Ollie’s lower-sodium meal plan has 1900mg less sodium than Jack’s. Ollie starts his day with Weet-Bix followed by toast and peanut butter. Jack on the other hand prefers cornflakes and toast with Vegemite. At breakfast alone Jack has consumed nearly 600mg of sodium. Ollie chooses lower-sodium crackers and snacks such as corn thins and popcorn, and opts for avocado on his crackers instead of cheese. If Jack follows Ollie’s lead even to a limited extent, replacing the processed meat in his sandwich with tuna and his salty sausages and tomato sauce with chicken drumsticks, he’ll eat nearly 1300mg less sodium per day. Know your salt facts? Take our quiz to find out for sure! Not sure about some of the quiz answers? Here’s a bit more detail. Why? On average, about 75% of our salt intake comes from processed food. Fresh foods generally contain very little salt. Salt from a shaker can add an extra 20 percent. A study of people's salt-shaking habits found that the amount they added depended more on the size of the hole than taste preferences. Why? There's now strong evidence that too much salt can cause high blood pressure. A high salt intake may also increase your risk of stomach cancer, which is particularly prevalent in Japan where they eat a lot of salt-preserved foods. On that basis, it's better not to eat lots of salt-preserved foods such as anchovies and olives too often. There's no evidence salt can cause diabetes or tooth decay. Q. Which has the most salt? Why? Fresh and frozen green beans contain very little salt, while tinned ones are often salted. The amount added can vary a lot between brands, so check the labels. Q. A bowl of cornflakes has about the same amount of salt as a small packet of potato crisps. Why? Cornflakes are still one of the saltiest cereals around. Q. Celery salt and garlic salt don't count. They're made from vegetables, so I can have as much as I like. Why? Celery salt and garlic salt are only ordinary salt with some added flavours. They have almost the same sodium content as ordinary salt. Q. I'm a keen runner and compete in triathlons so I lose a lot of salt as sweat, especially in the summer months. I need plenty of salt on my food to avoid getting cramp. Why? We need sodium for transmitting electrical impulses through nerves and assisting in muscle contraction. But we only need 1-2 g of salt a day to replace salt lost from the body in sweat and urine. If you're not eating a lot of salt your body adjusts and your sweat is less salty. There seems to be no basis to the common belief that lack of salt causes muscle cramps. Q. You can always tell what foods are high in salt because they taste salty. Why? Some foods that are high in salt don't taste very salty. Sometimes this is because they have a lot of sugar, such as some biscuits and breakfast cereals. And our taste buds get used to high levels of salt, so you might not notice the saltiness of some foods. Once you cut back on salt and come back to a food you used to eat you might be surprised at how salty it tastes. Q. Salt 'brings out the flavour' in food and it's bland without it. Why? False in reality, though if you're used to foods that are high in salt or add lots of salt to your food, you could find meals bland and uninteresting when you first cut down because our taste buds get used to high levels. If you persevere for a few weeks you can train them to eat food with less, and then you're more likely to enjoy food with less salt or even with none at all. Salt can hide more subtle flavours, so you might prefer some foods when your taste buds have had time to adjust. Q. Only old people need to worry about how much salt they eat. Why? The association between salt and high blood pressure is certainly strongest for older people. But recent studies show that too much salt can raise your blood pressure at any age. 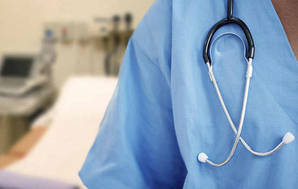 It's true that you have less chance of developing heart disease or a stroke in your 20s or 30s than when you're older. But if you have high blood pressure when you're young, you're still at greater risk than someone the same age with normal blood pressure. Q. You have to use salt in cooking. Recipe books tell you to use it - and so do the chefs on TV cooking shows. Why? True and false - salt in the cooking water makes vegetables soften quicker and pasta easier to cook to a perfect al dente, but in recipes it's usually a matter of taste (see Question 8). Cooking with naturally salty foods like bacon or sausage is likely to make a bigger difference to the amount of salt you eat than adding salt to a recipe - and as with all things salt, less is healthier than more.